This 14 ft ground level wind tunnel is part of the offerings at the Avenue at White Marsh in Baltimore, Maryland. 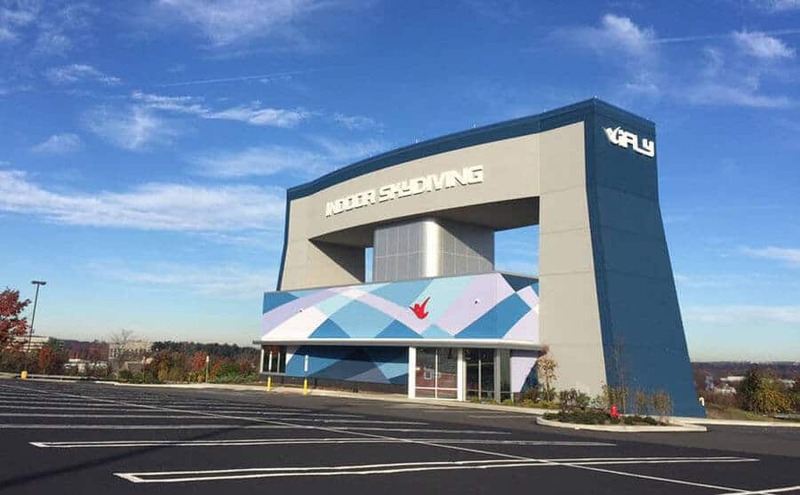 The tunnel is the 54th SkyVenture wind tunnel to open worldwide. This project was announced on July, 13th 2015 and officially opened on Aug 3rd, 2016. Average rating of 3.8 from 10 review(s). Booked a large group. Was told that younger kids would love it. Well 4 of them were so scared that they wouldn't go. Asked if I could get a refund and was told no but I could add their flight time to other flyers. Not only was this not communicated to the staff but I got an attitude when I told them that we had extra flights owed to us. We were so beyond our reservation time that we had to change our dinner reservations. I wrote iFly about this situation and never got a response. Poor customer service. My second iFly flight with Patrick G. as my instructor ... he is THE BEST!!!! What a great team at iFly Baltimore - so many nice humans there!! I can't wait to fly again. Had an amazing time, very addictive! Awesome staff and instructors! Amazing instructors and so much fun! Will definitely be coming back! Long waits. Completely disorganized and understaffed. Waited and waited past reservation time. I booked a flight with a voucher but due to a family emergency need to reschedule. I have emailed, called, and left voicemails to attempt to do so with NO RESPONSE. I'm about to have $140 totally wasted because no one replies. Huge problem! 200% Adictive! First time trying it, I'm hooked. The people there are extremely helpful. They want you to have a good time and YOU will! What a wonderful staff to make you feel comfortable and super pumped for a once-in-a-lifetime experience, that'll make you want to do it more than just once! My whole family, including my 4 yr old., can't wait to go back! Highly recommend this place.